Be nice to your gear! Mercury is about to be retrograde. DJ Dave Leonard hard at work. Three or four times a year, everyone who knows something about astrology goes through a ritual called Mercury retrograde. Everyone who doesn't know about astrology gets to have the experience, not sure what it is though, perhaps suspecting that something weird is going on. 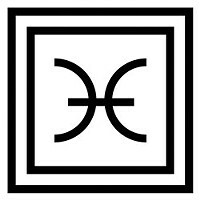 We are now approaching the first of four Mercury retrogrades spanning between early February 2014 and early February 2015. The upcoming retrograde begins February 6 with Mercury in Pisces and ends on February 28 with Mercury in Aquarius. What I call the echo phase, and what other astrologers call the shadow phase, began January 22. The after-retrograde shadow phase begins when Mercury stations direct and runs through March 20. Typically, the retrograde itself lasts three weeks, but the whole process—wherein Mercury is dancing around the same approximately 15 degrees of the zodiac—lasts for two months. 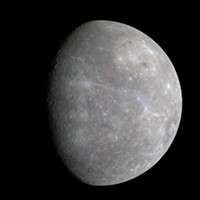 Hence, while Mercury is retrograde just 19 percent of the time, the retrograde effect can be felt about half the time. It's the most concentrated around the days when Mercury changes direction. Associated with lost keys, late or lost payments, disk drive failures, and communication mishaps, Mercury retrograde does not have a very good reputation. 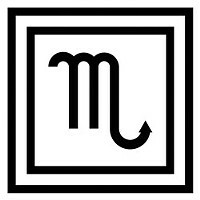 Yet some people love it—if you're the creative type, if you have a slightly tweaky mind, or if you like the feeling of swimming against the current, you might be one of the people who looks forward to Mercury retrograde with glee. Thanks to the Internet, more people than ever know about Mercury retrograde. The idea is now lodged in popular consciousness as what's likely the most familiar technical astrological concept. I just searched Google and got 405,000 results for Mercury retrograde. Personally, I didn't hear about it online. At my first journalism job I worked for the Echoes-Sentinel, a gritty weekly newspaper in New Jersey. Flo Higgins, my first editor as a professional writer, happened to be an astrologer. She was about 65 years old with long white hair and a fiery point of view, who had probably read the chart of everyone for 100 miles around. Flo could, and regularly did, terrify the entire company with this one, sending the vibrations throughout the central New Jersey countryside, even getting the stunned attention of nerdy newspaper reporters trained not to believe anything. Mercury meant everything was about to go wrong. Flo was so convincing that even Jim, who ran the production facility and could take apart and reassemble a printing press blindfolded, had a paragraph taped to his office door, copied from Debbi Kempton-Smith's infamous Secret's From a Stargazer's Notebook, warning everyone who visited: Don't Sign, Don't Buy: Mercury is Retrograde. This was my introduction to astrology, the first paragraph of an astrology text I ever read. Soon, newcomers to Echoland took it for granted that the Full Moon had something do with how the mayor was acting, and when the production facility smelled like electrical smoke, it was clearly because Mercury was retrograde. But what is this event really about? And how does it work?